Ornamental dwarf to medium grey shrub for well drained light or heavy soils. Prefers full sun or partial shade position. Frost tolerant. 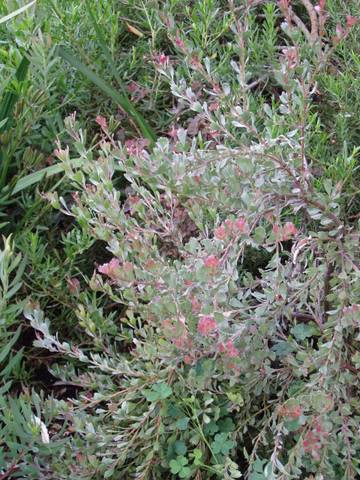 Highly ornamental foliage with pinkish red new growth. Suitable coastal or inland. Can be used for cut foliage. Useful for perennial or Mediterranean gardens. We now grow A. cuneatus 'Coral Drift' - a beautiful low growing form. Propagation Information: Usually grown from cuttings so seed not commonly available.